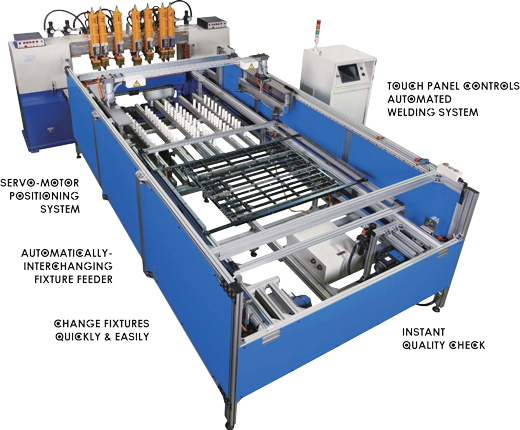 The SA-AF Dual-Layer Multi-Spot Mesh Welder welds more parts with less labor. Lower your costs and increase your profits with the SA-AF Mesh Welder. 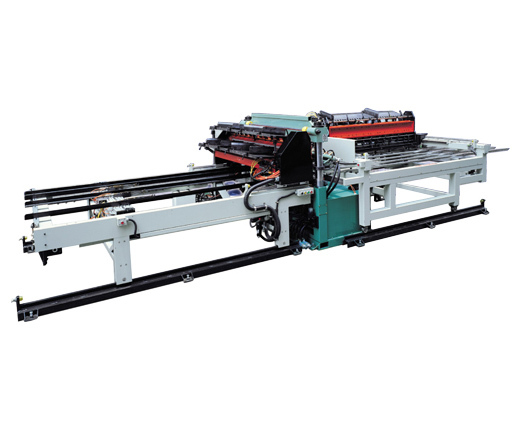 The SA-AF Dual-Layer Multi-Spot Mesh Welder welds more parts with less labor. Lower your costs and increase your profits with the SA-AF Mesh Welder. 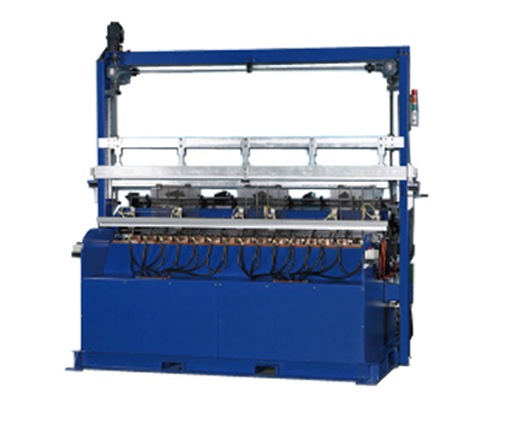 Automatic dual-layer machine interchanges feeding and welding simultaneously. Configuration allows you to change fixtures quickly and easily. Perfect for high volume production environments. Average Speed: 2 parts per minute. Customization available to suit your application. 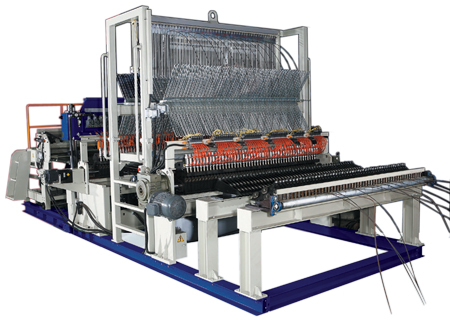 The GSA-80 High Speed Wire Mesh Welder is designed for energy savings, and built to last. Applications include: Wire mesh for furniture, wire shelving, industrial mesh, grills, mesh decks, pallet decking, display equipment, stillage mesh, box trailer sides, wire containers, storage shelving, material containers, tool racks, storage and warehousing. sizes of wire mesh with fast and simple change-over. Modular System offers versatility, allows for future additions and retrofits. on the pitch set, carrying the welded mesh to the next work station. upper cylinders, electrodes and gripping pliers. into the V-shaped guiding rails. Rails are adjustable depending on wire pitch. Machine Control System: The HMI (Human-machine Interface) links with P.L.C. All parameters are set using the touchscreen. Easy to operate and maintain. 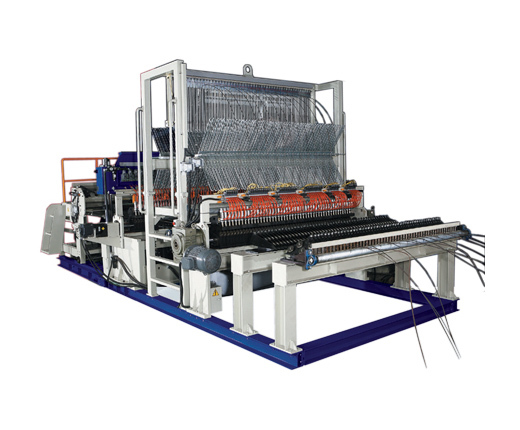 The GSV-80 is a Vertical-type Wire Mesh Welding Machine, 80 KVA. Feed Rate allows for high-speed production. Quick and easy setup and change-over allow welding differently-sized wire mesh. welded wire mesh from the machine with no accumulative tolerance problems. electrodes and gripping pliers. Fully adjustable welding parameters (time, current, etc.). positioning and ejecting pre-cut wires. according to the required distance precise adjustment of the wire pitch. positioning and ejecting straightened, cut to length wires. and controlled by water cooled SCR and micro-computer timer for precise weld control. 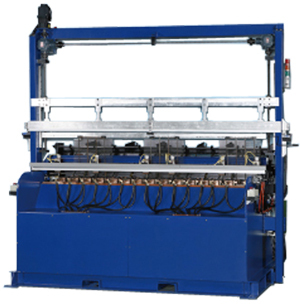 Wire Straightening Device: 2 sets of the device for straightening the wires. another is driven by the servo motor to send the wires to the welding machine. Both of them aid in precise pitch control. electrodes and gripping pliers. Fully adjustable welding time and current. positioning and ejecting straightened and cut to length cross wires. where all the parameters of the system are set on the screen. Complete fault diagnostic system with pictures to resolve error efficiently. Linking with P.L.C, the working process and fault messages are graphically presented. overloaded of servo motor, fault positioning, fault of air compressor, over-high temperature. Peripheral Device: Re-coiler device- applicable for wire 3-5mm. Guillotine Shear- applicable for wire 3-8mm and smaller than 12mm.